Honey Creek will host Thanksgiving lunch November 22nd at noon in Reese Dining Hall. 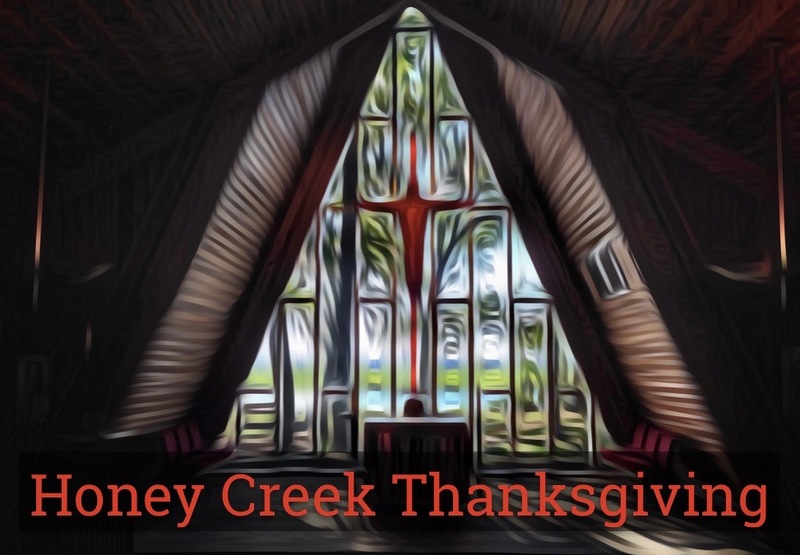 Mealtime is nearly a sacrament at Honey Creek, so let us serve your family and friends this year. We’ll do the cooking and cleaning, you do the quality time together.